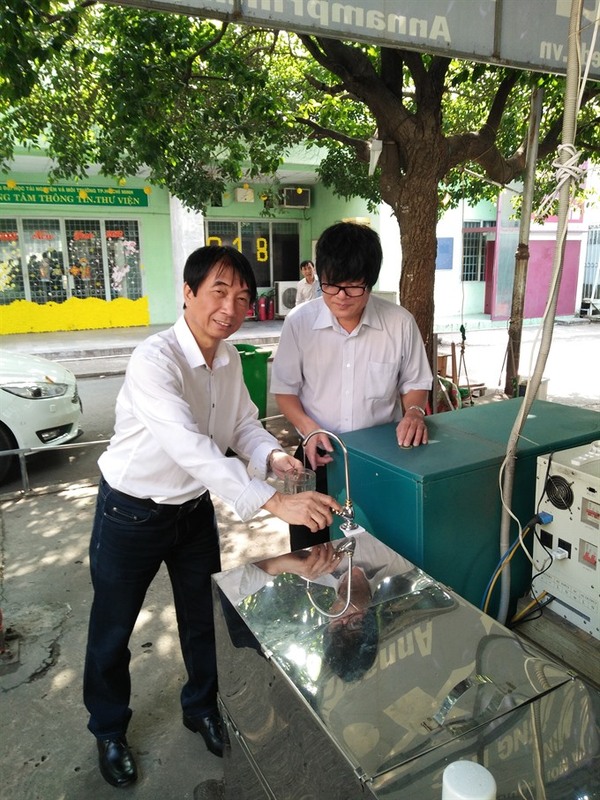 Magic device: Associate Professor Lê Văn Lữ (left), one of the researchers, gets water from the device. HÀ NỘI – Coffee farmers in the southern central province of Ninh Thuận used to dig up to 40 metres underground to reach water in order to irrigate their crops during droughts. Now when the land dries up, they struggle to find water at depths of even 100m. The water shortage has devastated residents of drought-plagued localities in Việt Nam, especially the Mekong Delta region, in recent years. Their lives and livelihoods have come to a standstill. Yet from difficulty emerges wisdom. A group of researchers from HCM City’s University of Natural Resources and Environment and the University of Technology were asking this very question, and now have finally come up with an answer. After two years of research since 2016, the scientists have developed a device which extracts water from humid air. Their innovation is based on a simple physical rule – humidity will condense in conditions of exceedingly high humidity. The system cools the air below its dew point at which water condensation starts. Then the water is purified, mineralised, sterilised and becomes drinking water. The so-called water harvester is able to pull up to 100 litres of water out of the air over a period of eight to nine hours depending on the device’s capacity. Technology to extract water from the air is not new and has been applied in the Sahara desert. But this invention is a first for Việt Nam, said Professor Phan Đình Tuấn, rector of HCM City’s University of Natural Resources and Environment. Losses that Việt Nam has to suffer from prolonged droughts between late 2014 and late 2016. - Designed by United Nations Office for the Co-ordination of Humanitarian Affairs. The researchers also thought about how to make use of solar energy in dry areas. 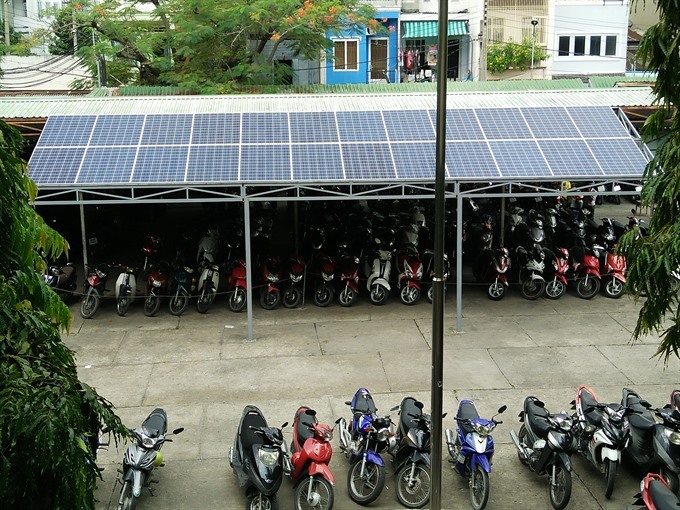 Solar panels, a renewable energy solution being promoted in Việt Nam, have been installed and connected with the water harvester to run the extracting system. It is considered a suitable solution to power the devices in remote areas without access to the grid. Water extracting machines powered by the sun are hoped to be applied in remote disadvantaged regions around the country, said Prof Tuấn. Two such devices have trialled so far and are successful in saving drought-hit residents. 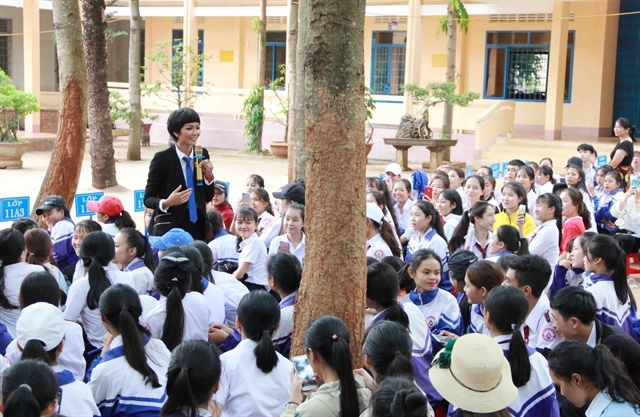 The first device with a daily capacity of 100 litres was placed at the Văn Lâm Primary School in Ninh Thuận’s Phan Rang City, and supplies pure drinking water for 680 students that meets the criteria of the health ministry. 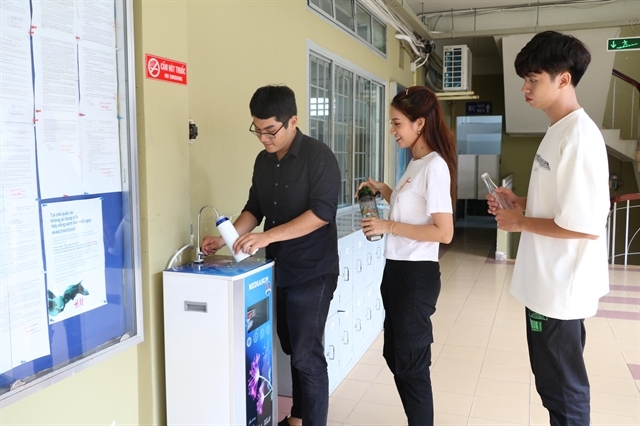 Another device with a smaller capacity (20 litres per day) is placed at HCM City’s University of Natural Resources and Environment where the researchers are working and supplies drinking water for students and lecturers. Prof Tuấn said that the weather, including temperatures and humidity, in drought-hit areas keeps fluctuating due to the impacts of climate change. 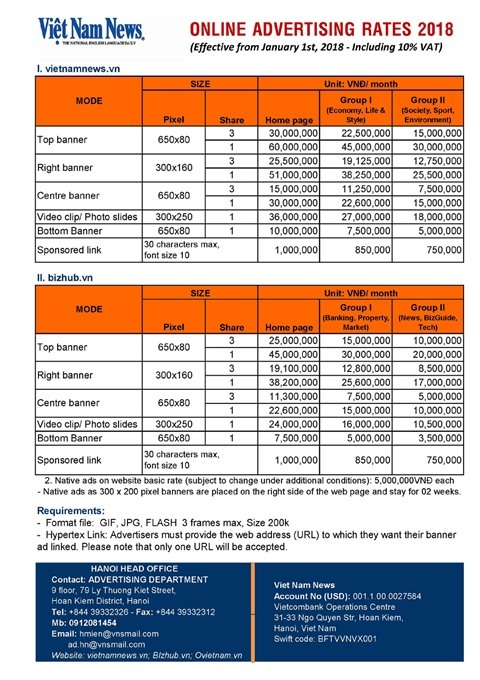 The research team had to make careful calculations on the parameters of the devices. "In conditions of low humidity, for example, we had to design the device with a capacity of 15 litres to expect an outcome of 10," he said. "Luckily, the invention has been welcomed by locals and financially assisted by the Ministry of Natural Resources and Environment and Ministry of Science and Technology within the framework of National Scientific and Technology Programme on Natural Resources, Environment and Climate Change. The water harvester offers hope to farmers and residents in hot and dry condition, as long as it is connected with an energy source. “It can be used on islands which lack access to fresh water. Solar energy can be replaced by wind power on the islands to run the device,” he said. Not only for drinking water, the research team has also been looking into using water extracted from the air to irrigate crops in drought-plagued regions. 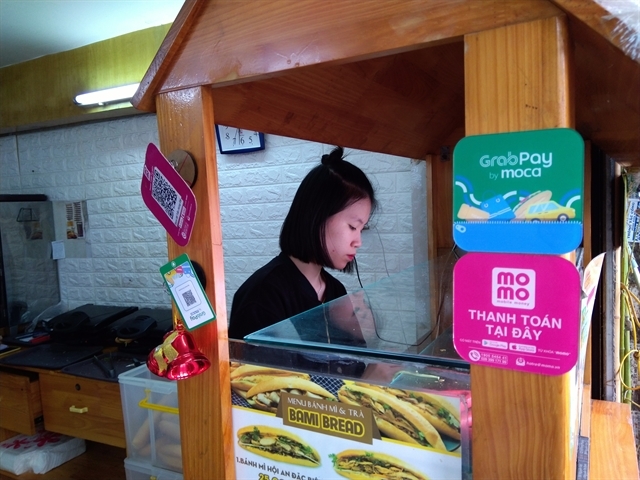 “In urgent situations where farmers lack water, the device can be used to supply water for withered plants such as coffee and grapes,” Tuấn said. The research team hopes that the technology will be funded and transferred to companies so that it can be applied in more places.